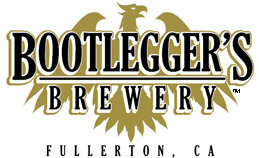 Knuckle Sandwich Double IPA from Bootlegger’s Brewery has won TheFullPint.com’s 2010 craft beer contest, with 879 votes of 5,048 cast. Bootlegger’s does an excellent job balancing hops; while there’s no shortage of bitterness in Knuckle Sandwich (or its great Rustic Rye IPA), it’s balanced with citrus for a beer that’s surprisingly easy to drink–until you get up and its 10 percent ABV smacks you upside the equilibrium. The Bruery’s Oude Tart, one of the best beers to come out of these fair orange acres, came in third with 584 votes, behind Abita’s Save Our Shores. Congratulations to Aaron Barkenhagen, Patrick Rue and the staff at Bootlegger’s and the Bruery. We always knew Orange County had some of the best beer in America. BeerAdvocate.com gave Knuckle Sandwich and Oude Tart both an A grade, and we do, too.